Real estate agents now only have to tell potential buyers if a property has a meth contamination reading of 15 micrograms per 100cm2 or above. They do not have to disclose any confirmed meth contamination results below 15 micrograms per 100cm2 unless they are asked. The Real Estate Authority (REA) has issued the new disclosure guidelines for agents in the wake of Sir Peter Gluckman’s bombshell report. Gluckman found there was no evidence third-hand exposure to smoked meth residue posed health risks and suggested the introduction of much higher testing levels (15 micrograms per 100cm2 as opposed to 1.5 micrograms per 100cm2). REA chief executive Kevin Lampen-Smith says meth contamination of 15 micrograms or above will be considered a property defect that must be disclosed to potential buyers. Lampen-Smith says that means the chance of buying a house with risky levels of meth contamination is very low. 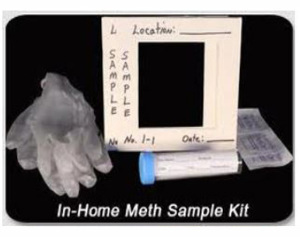 But people looking to buy property should always ask their real estate agent if they are concerned about methamphetamine contamination, Lampen-Smith adds. The new guidance and the findings in the report will not alter previous decisions made by the regulator’s Complaints Assessment Committees or the Real Estate Agents Disciplinary Tribunal (READT). Auckland’s price growth might be flatlining overall but new data shows the SuperCity still has some hot spots where prices are on the rise. Technology and changes to the way people work are set to transform the commercial property sector and investors need to be attuned to these developments. © Copyright 1997-2019 Tarawera Publishing Ltd. All Rights Reserved.